Lincoln Federal Criminal Defense Attorneys - Oberheiden, P.C. Oberheiden, P.C. is known for its powerful federal trial and defense practice. Former Department of Justice Trial Attorneys with decades of experience and federal criminal defense lawyers with impeccable defense records are available to offer proven defense strategies to clients in Omaha, Lincoln, and North Platte, Nebraska. Call today to find out what strategies former federal prosecutors have to defend your case. All consultations are free and confidential. You have nothing to lose! Are You Accused of a Federal Crime or a Criminal Conspiracy? Are you under investigation? Were you recently arrested? Did you receive a grand jury subpoena or were you served with a target letter? Is the government accusing you of a crime? Are you concerned you may be going to prison? Is it time to get an attorney? 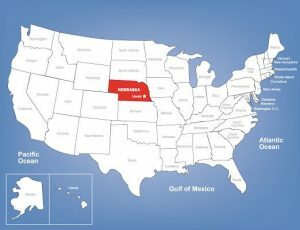 Nebraska prosecutors were instructed to increase their investigations and criminal prosecutions of federal offenses. New reports about arrest waves and search warrant executions in Lincoln and surrounding communities are being published like never before. Due to the immense penalties of federal offenses, you must understand that this is not the time to experiment with your legal representation. You can’t afford to make the wrong choice. Oberheiden, P.C. offers clients two things: decades of experience and a track record. Unlike most other firms, we do not accept state criminal cases. We limit our practice to federal cases. Think about it: when you have a heart attack, the best knee specialist may not be able to cure you. Many of our attorneys come from leading positions within the Department of Justice and understand, first-hand, how the federal justice system works. Oberheiden, P.C. does not use junior lawyers or associates. Our clients are represented by skilled federal defense litigators with proven track records in federal cases. When your reputation and your freedom are at stake, and your time with your loved ones is in jeopardy, you must rely on experience. Please contact us directly. Contact Dr. Nick Oberheiden Today! Nick has successfully represented business executives, business owners, public officials, physicians, lawyers, accused drug dealers, and many more in countless prosecutions involving federal conspiracy charges, fraud charges, Internet crimes, and other federal offenses. There are many ways you may find out about a federal investigation. Whether you receive a subpoena request from the Department of Justice or a federal grand jury subpoena, or a so-called target letter informing you that the government believes you committed a federal offense— you need to keep in mind that there is no time to waste to consult with experienced Lincoln federal defense attorneys to guide you through the process before you make a mistake. Federal Arrest. Nothing is more dramatic than being surprised by a federal arrest. Typically, federal agents execute arrest warrants either in the early morning hours at a private residence or at a known business address. Required for any arrest is probable cause that someone committed a federal offense. Federal arrest warrants are typically signed and authorized by a magistrate judge after having been briefed about the case by investigators. When an arrest happens, it is important to immediately call lawyers that are familiar with the federal justice system. Each arrest will typically result in a hearing, a so-called initial appearance, before a magistrate judge. Purpose of this hearing is to determine whether the person in custody needs to stay detained because that person is either a flight risk or a danger to the community, or whether the court will allow the person to go home subject to certain conditions. If you or a loved ones got arrested, you need to understand that your entire life may depend on your next steps. Please call Oberheiden, P.C. instantly instead of trying to figure things out yourself. You will not get a second chance and any mistake you may make (e.g. discussing the case with the arresting agents) can hardly be undone. Search Warrant (Residence & Business).Just like an arrest warrant, a federal search warrant must be authorized by a magistrate judge familiar with the allegations in the case. Search warrants are very stressful and intrusive events. Just like it is true for any law enforcement event in federal cases, it is important not to discuss the case with the agents in the absence of a federal defense attorney. If your home or your business got raided, contact Oberheiden, P.C. immediately to protect your rights and interests. Grand Jury Subpoena. Our attorneys have handled in excess of 1,000 grand jury proceedings and we help clients every day to provide responses to federal grand jury requests. From our own experience as government lawyers, we know how quickly a bad response to a subpoena can result in criminal charges. If you or your business received a grand jury subpoena or another form of government notice, you should contact Oberheiden, P.C. immediately to get competent and reliable advice. Target Letter. When the government sends out a so-called target letter, you are being put on notice that the government believes that you either committed a crime or helped someone else to commit a federal offense. Immediate action is required. A target letter notice will not go away just because you decide to ignore it. What needs to happen immediately is that experienced and credible attorneys defend your interests. Oberheiden, P.C. pursues a proactive approach and we immediately contact the agents and the prosecutors listed on the target letter to open a dialogue. After all, doing so is the only way to present your side of the story in compelling presentations and to avoid being charged with the crime named in the target letter. Please call us immediately if you received a target letter from the U.S. Attorney’s Office in Omaha, Lincoln, or North Platte, Nebraska. Experience shows that the sooner a potential subject or target of a government investigation calls experienced attorneys for help, the higher the chance to avoid actual criminal charges. If you are in this situation, we urge you not to hesitate. The more time you give the government, the less time you have to start your defense. Call us now for a free and confidential assessment. Oberheiden, P.C. is known for its forceful trial practice. Many lawyers are plea-deal lawyers. To either avoid the conflict or the fight with the government, some lawyers advise clients to just plea guilty, irrespective the fact that the client feels like he has done nothing wrong. At our Firm, you, the client, come first. We are very interested in your side of the story because that is the only way for us to really find out what happened. It does not matter to us that your perspective and your version is diametrically different than what we hear you alleged did from prosecutors. Your version allows us to prepare the defense strategy. After all, nobody knows the facts better than you do. At Oberheiden, P.C. we always look at a case with the idea to try the case before a jury. What would the jury think? What will be relevant to the judge? Going through this exercise allows us to put ourselves into the shoes of others. It helps us to carefully think about details of the case presentation and how to make a seemingly complicated matter simple and compelling. Our experience with our we-will-go-to-court approach has been a great success. If criminal defense work is a poker game, we hold the cards that matter. Government lawyers know that our Lincoln federal criminal defense Lawyers, and many others each have tried way more federal criminal cases than most prosecutors will ever do in their lives. The advantage of this fact for our clients is that we are always in a comfortable negotiation position. After all, who wants to go against former Justice Department Trial Lawyers and a team of criminal litigators that have spent their entire careers in courtrooms across the country? You, our client, will benefit from our experience. We will not sacrifice you for a quick plea deal. We will go all the way, if we jointly believe that this is what needs to happen. Many lawyers handle whatever case comes in. State cases, juvenile cases, DUI cases, assault cases. Anything. Oberheiden, P.C. is different. We only handle federal cases. Why? The state and the federal criminal justice systems are two completely different animals. Courts are different, court rules are different, law enforcement techniques are different, prosecutors operate differently, bond is different. Much success in a federal criminal case has to do with convincing federal agencies— such as the Federal Bureau of Investigation (FBI), the Drug Enforcement Administration (DEA), the Internal Revenue Service (IRS), the Office of Inspector General (OIG), the Department of Homeland Security (DHS), the Department of Defense (DOD), the Department of Health and Human Services (HHS), the U.S. Attorney’s Office (USAO), the Department of Justice (DOJ)—to not pursue a case or to negotiate an acceptable outcome. Well, on the state side, these agencies don’t exist because they are not part of state criminal law enforcement. And just like anything else in life, practice makes perfect. We appear before the U.S. Secret Service, the FBI, and U.S. Attorney’s Offices every day across the country. More so, many of our attorneys have led these agents for years and decades. We think this gives us the right to say: we are federal criminal defense lawyers. Look for yourself, it is hard to beat our track record. We have avoided criminal charges in federal cases in a large amount of cases for clients from across the United States. We have turned targets of federal investigations into witnesses, we have turned criminal cases into civil fines, and we have demonstrated our negotiation skills in countless meetings at the U.S. Attorney’s Office and argued hundreds of cases in federal courtrooms. Combined, we have saved our clients hundreds of years of imprisonment, with the success for each individual client being the most important and most satisfying result. Avoided Charges. Our Firm has a history of avoiding criminal charges in federal cases. Our federal criminal defense attorneys have turned criminal cases into civil ones, avoided criminal charges in countless investigations, and saved many clients years of incarceration for unjust accusations. Obtained Bond. Bond in federal cases is very different from bond in state investigations. We have a close to 100% success rate of obtaining bond for our clients in federal criminal cases. Dismissed Charges. Our attorneys have convinced federal prosecutors and federal judges to undo and dismiss already presented indictments. While this is extremely rare, having been able to do so repeatedly may speak for the quality of our attorneys and the level of our skill set. Introduced Defenses. Criminal offenses require proof of intent. Further, all criminal offenses know a canon of accepted defenses that render a seemingly illegal conduct entire lawful. We have successfully defended clients in federal investigations by demonstrating that alleged misconduct either did not occur, did not occur intentionally, or did occur but was justified by a recognized defense. Federal Offenses Handled. Our attorneys have defended clients against almost every federal offense and criminal conspiracy including but not limited to 18 U.S.C. 1347 health care fraud (Medicare fraud, Medicaid fraud, violations of the Anti-Kickback Statute or the Controlled Substances Act, False Claims Act), 18 U.S.C. 1341 mail and 18 U.S.C. 1343 wire fraud, public corruption, bribery, tax fraud, tax evasion, securities fraud, insider trading, Ponzi scheme fraud, mortgage fraud, 21 U.S.C. 846 conspiracy to distribute, 21 U.S.C. 841distribution and possession with intent to distribute, 18 U.S.C. 924 possession of a firearm in furtherance of a drug trafficking offense, marijuana, Hobbs Act, RICO, bank robbery, kidnapping, and crimes involving computers. Prevailed in Court. Our attorneys have prevailed in countless hearings against government lawyers. Because of our trial reputation, we have appeared in courts across the United States and zealously represented our clients from unjust prosecution. Here is the good news: the government has to convince 12 people beyond a reasonable doubt that you have committed a crime. We, however, only have to convince one person that the government is wrong. Oberheiden, P.C. does not use associates, paralegals, or legal secretaries. Nobody walls you off from your team of lawyers. The former federal prosecutors and federal criminal defense attorneys of Oberheiden, P.C. are available to discuss your case. Find out how experienced prosecutors and defense attorneys assess your situation and what advice they offer to clear your reputation and to protect your license. Calls are free and confidential. Oberheiden, P.C. offers free and confidential consultations, including on weekends. If you are in a situation of concern or investigation, you should not hesitate to reach out to Oberheiden, P.C. attorneys that previously led and supervised federal investigations before representing clients like you. Subject to our terms and conditions and in accordance with the applicable local rules of United States District Courts and state professional boards, the attorneys of Oberheiden, P.C. may accept engagements in federal cases relating to the following geographical areas either as already admitted counsel, pro hac vice, or in combination with locally licensed counsel. The areas include: Omaha, Lincoln, Pleasant Dale, Denton, Walton, Washington, Bennington, Elkhorn, Skyline, Boys Town, Chaico, La Vista, Bellevue, Plattsmouth, Springfield, Ashland, Cedar Creek, and surrounding areas.